… and do loads of other stuff, like revive rural Ireland. 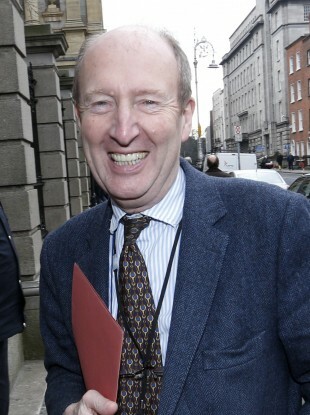 SHANE ROSS HAS said an alliance of independents TDs would support the government in motions of confidence in return for delivering on a number of principles agreed at a meeting over the weekend. The group dubbed the Independent Alliance met in Tullamore on Saturday with Ross telling Today with Seán O’Rourke that there was so much enthusiasm for the idea that they’re going ahead with it. “We are not a party, we are not going to to be a political party, and we’re absolutely sick of political parties,” Ross said. Ross, along with fellow TDs John Halligan, Finian McGrath, Tom Fleming and Michael Fitzmaurice, as well as Senator Gerard Craughwell, hope to form an alliance with a number of independent councillors who will be running in the general election. Very positive first meeting of the Independents Alliance here in Tullamore. Highly motivated fresh voices among the councillors. The idea is that if the alliance wins a sizeable number of seats in the next Dáil it could support a government in return for delivery on a number of principles. Among the principles are that a government would strip politicians of the power to make political appointments, revive rural Ireland, remove all obstacles to women achieving full potential and stop endless what it says is “kowtowing to Europe”. Ross claimed that political parties have become a “vehicle for rewarding people”, saying that they appointed people to the judiciary, to the gardaí and other public bodies. He said the whip system has been “an absolute strangulation of the party political process”. Ross said that after the next election, the alliance would put its principles on the table and tell political parties to “come and talk to us”. We’re not going to be specific but we’re going to revive rural Ireland and make absolutely certain that that is a top priority of the government. He insisted there would be “no local deals when we go into government” and said the alliance would “unite behind national policies”. On possible cabinet positions he said this was “completely and utterly open to debate” and also insisted that “no whip, no whip whatsoever” would be applied to members of the alliance except on confidence motions and a budget. So @Shane_RossTD wants to "look after woman" ah thanks . Email “Shane Ross won't be specific but wants to 'look after women'... ”. Feedback on “Shane Ross won't be specific but wants to 'look after women'... ”.